Today I’m speaking at an AFP event on ‘The Anatomy of Campaigns” where we’ll talk specifically about online fundraising campaigns. There are lots of sites and apps to raise money online. I’m often asked which tool is best? People hate my answer…’it depends’. For this post, let’s look at the bottom line – fee structure and cost. Each service has both a platform fee and a processing fee (ex Stripe/PayPal). The total fee is what matters. This time FirstGiving has the lowest fee (7.5%) while GiveForward remains the most expensive ($12.9%). 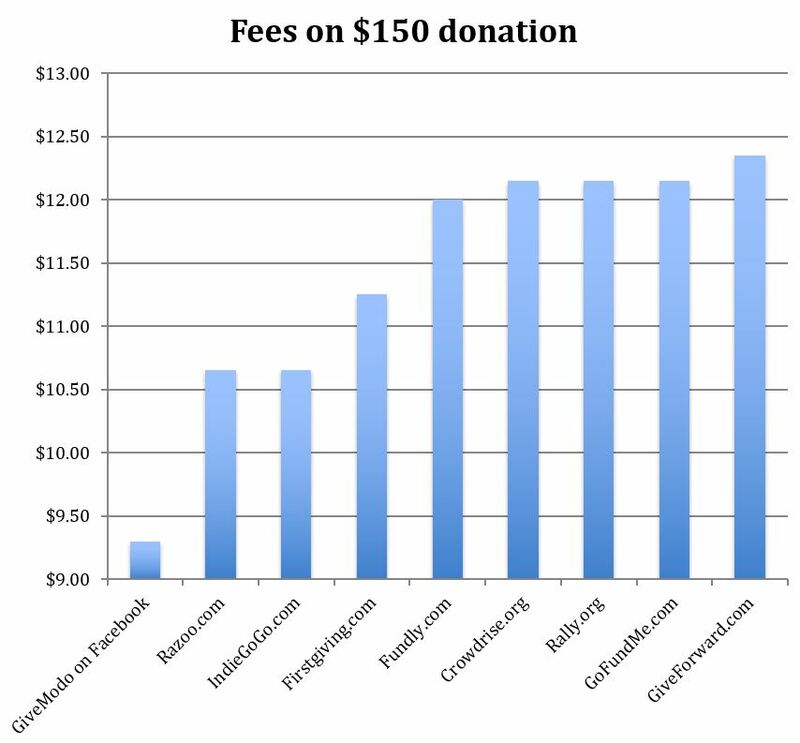 You should expect to pay between 6% and 13% for most online donation amounts. Fees surprisingly vary quite a bit depending on the service. 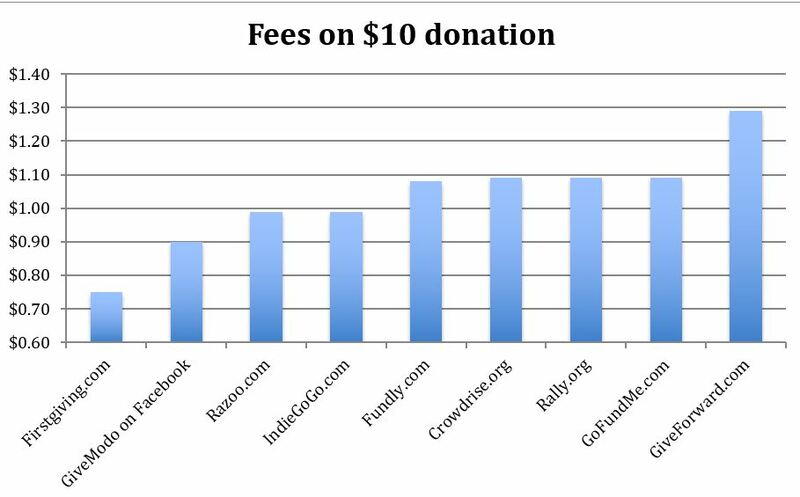 Obviously a fundraising platform is more than just fees. The cheapest services usually have drawbacks – ex: GiveModo on Facebook only works on your Facebook page. FirstGiving.com doesn’t allow giving on your own website. Choosing a fundraising service depends on the donation amounts you expect, where your supporters will be donating, and a host of other options. We’ll look at design, social integration and other parameters next…until then, let me know (in the comments) if there are other services you love that should be considered! Could you please consider our fundraising platform, http://fundlio.com/ too? We use Stripe, which charges 2.9% + $0.30 per donation processed and our clients also need to pay a monthly subscription of $19.95 per month (starter) or $29.95 (premium), and they also enjoy other benefits, like a mobile-friendly website, unlimited online donations, email marketing, donors management, and iPhone/Android app (the premium package). At PrayersforPets1.org we use DonorBox with Stripe and also Paypal for nonprofits we are a 501c3 but they charge about half of what your lowest listing shows….